Whatever the weather, whatever the circumstance, whatever the place, we almost always have our phones with us. How important these devices are to us vary from one person to the next. What doesn't vary is the frustration that arises from getting locked out of your iPhone. That is a uniform turn off. Nobody wants to forget their password and be unable to access their device for long periods of time. It is a predicament everyone detests. But, detest it as much as you want, it is a regularity. It is a problem we all like to see the back of. 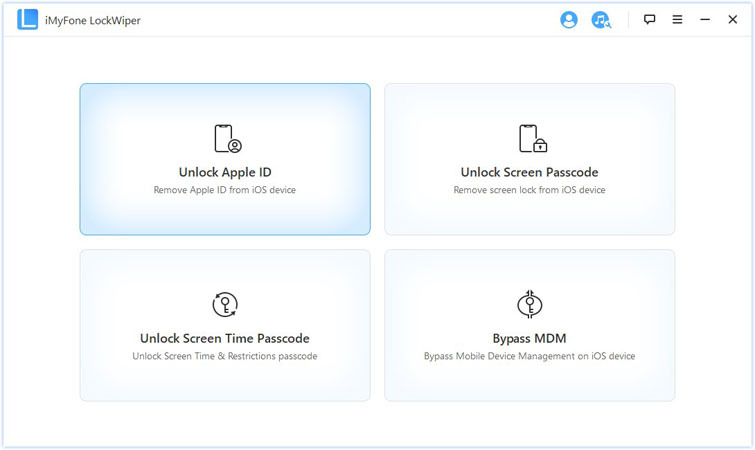 The official iMyFone website is a platform that offers numerous Apple services and mobile device assistance tools, in which iPhone unlock assistance is one of them. The tool “LockWiper” is the solutions iMyFone provides to everyone who needs iPhone screen unlock services, Apple ID password removal services, and iCloud account bypass services. Therefore, if you have the need to bypass the iCloud account on your iPhone even when Find My iPhone is enabled, forgot the password to your iCloud account, or forgot the passcode to your iPhone screen lock, then employ LockWiper to efficiently offer you these services. Promise high success rate for unlocking both the iCloud unlock and screen lock. iMyFone LockWiper is your best option for unlocking your device. No stress. Smoothness. It is all there. iMyFone LockWiper is the exception to the Jack of all trades, master of none rule. It is equally effective at everything it does. It goes a step further to make you get a better phone after unlocking. It optimizes your device and makes sure it is incredibly faster. 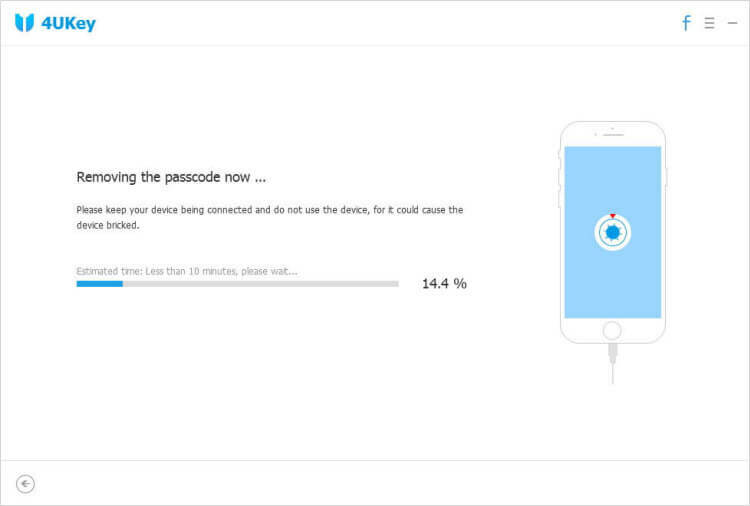 This app makes sure it leaves your phone better than it met it. Limits: It doesn’t support to remove network lock from iPhone. 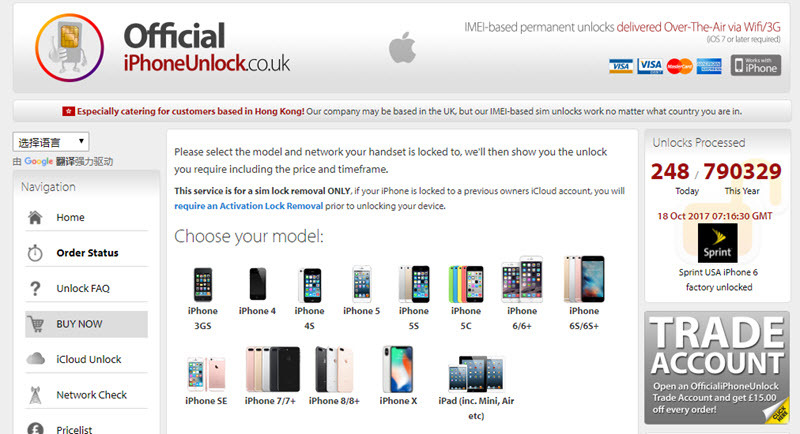 The Official iPhone Unlock website is a platform that offers you services to remove the network lock on your iPhone so you can use it permanently on the network of your choice. Therefore, it’s one of the recommended factory IMEI-based unlock service for all iPhone running iOS 12 and below. This website offers iPhone unlock but it’s only useful to those whose second-hand iPhones came with a network carrier lock. If you’re having issues like iCloud activation lock, iPhone screen lock, or forgot Apple ID password, this website can’t help you out of this issue. Lots of users claim that its service is not working. Tenorshare 4uKey is a solution to the locked phone problem. It is a platform created just to solve this peculiar problem. 4uKey is an iDevice passcode unlocking tool that gives you the ability to unlock your iPhone without a passcode. It comes in handy when you need to unlock your iPhone after a mishap that left you with a locked device. It is designed to be an impressively simple tool that possesses the effectiveness required to assist you with unlocking your device. The process is done with ease and is quite quick. Many iPhone users laid complaints on review websites that 4uKey wasn’t able to unlock their iPhone even after unlimited trials. It only removes lock screen from iPhone. It doesn’t support to remove iCloud lock or network lock. iMyFone LockWiper is the better option for you. It's easy to use and needs just a few steps to unlock your iPhone. Step 1. Download and install iMyFone LockWiper on your computer. Open it and choose the unlock mode. 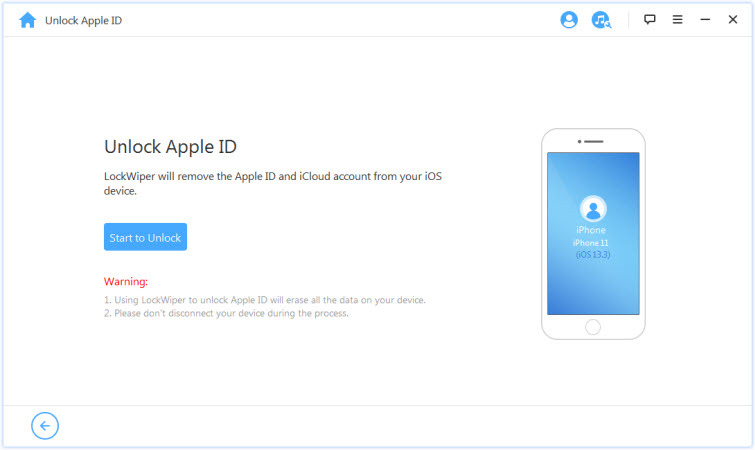 Here we take "Unlock Apple ID" for example, which will unlock your iPhone from iCloud lock. Step 2. Connect your iPhone to computer and trust the connection. Click "Start to Unlock" to start the unlocking process. It won't take you much time to complete it. iMyFone.com is the website that provides that best iPhone unlocking service. If you have the need to bypass the iCloud account on your activated iPhone even when Find My iPhone is enabled, forgot the password to your iCloud account, or forgot the passcode to your iPhone screen lock, then employ LockWiper NOW!